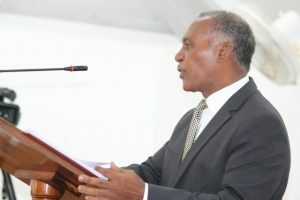 Mr. Amory said the tax free budget was presented because the Nevis Island Administration (NIA) is cognisant that increases in taxes reduce disposable income and push persons further below the poverty line. As such, the Administration stands committed to protecting the most vulnerable in the community. The total expenditure budget is set at $193.03 million with $148.94 million appropriated to current spending and $44.08 to capital.